It is once again the yearly event for Apple to reveal the next generation iPhones. 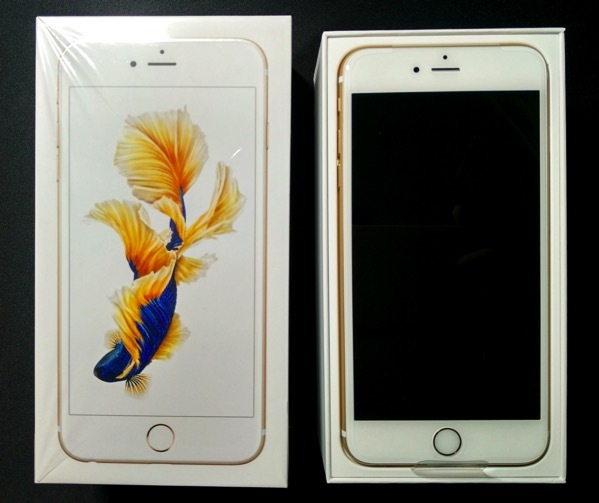 Beelines once again were formed at Apple stores worldwide with both avid fans and dealers getting their hands on the new iPhone 6S and iPhone 6S Plus. 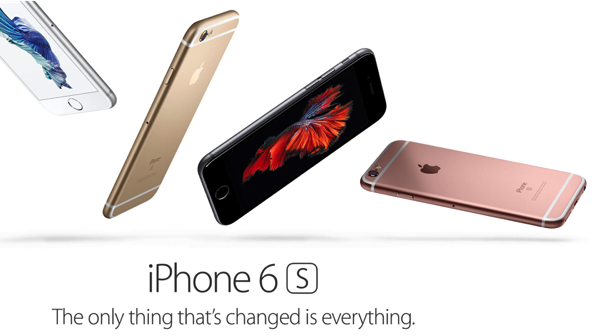 Apple even emphasised ‘The only thing that’s changed is everything’ but is it the really the case? As for the interior, there is not much changes. The accompanying accessories are the same as previous series. I would have anticipated Apple to provide the newer collapsable pin charger head for the iPhones, but they have retained the original triangular head version. 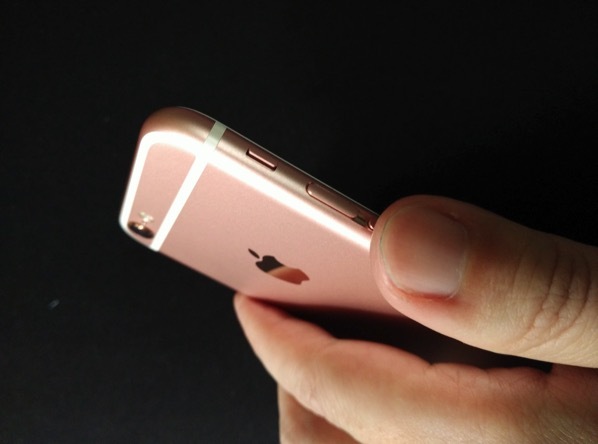 Likewise for the Rose Gold, the tinge of soft pink from the side edges is pretty attractive and refreshing. 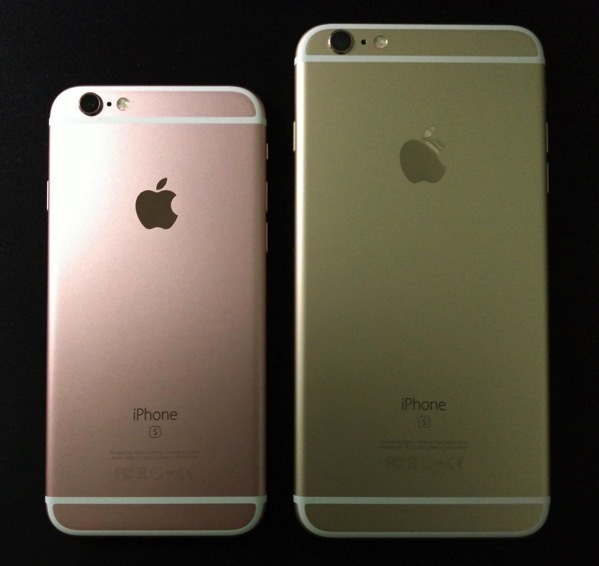 Putting the 6S and 6S Plus along side, the form factors are largely retained. 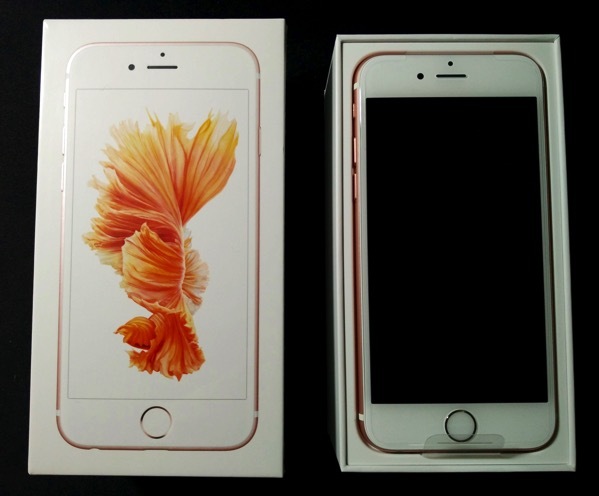 The white line separators/bands are still prominent for the Rose Gold model. 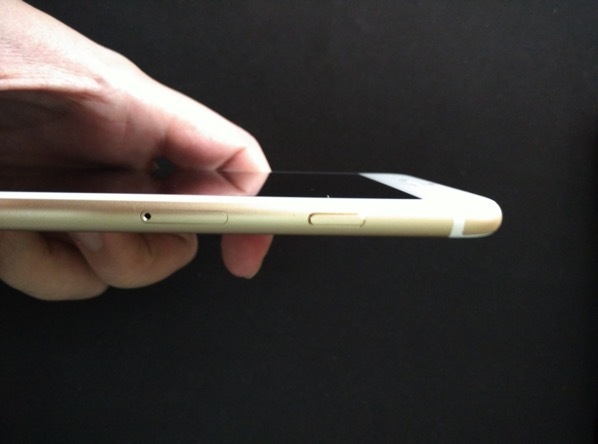 Unfortunately, this would mean that the iPhone 6S will still be prone to dirt stains on these white bands like before. 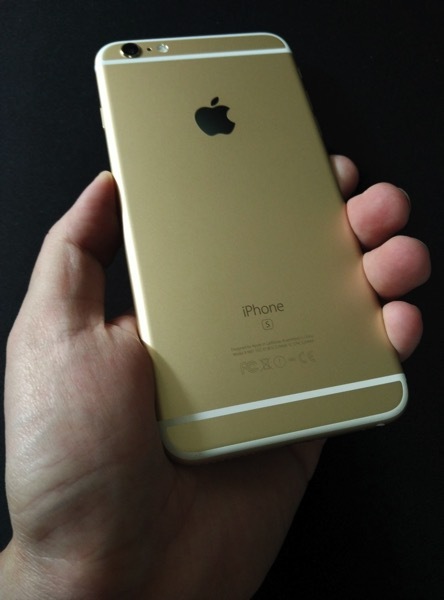 Although the weight of the new iPhones has increased a tad (~10%), both models still fit comfortably within the grip. 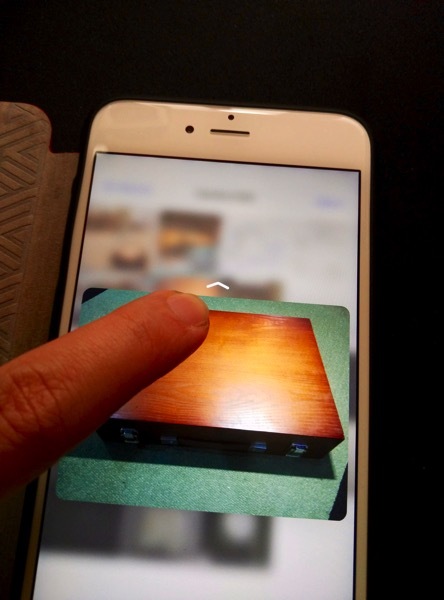 The weight is an aftermath of incorporating a layer of capacitive sensors within the display panel to enable the touted new feature – 3D Touch, which I will touch on later in this post. 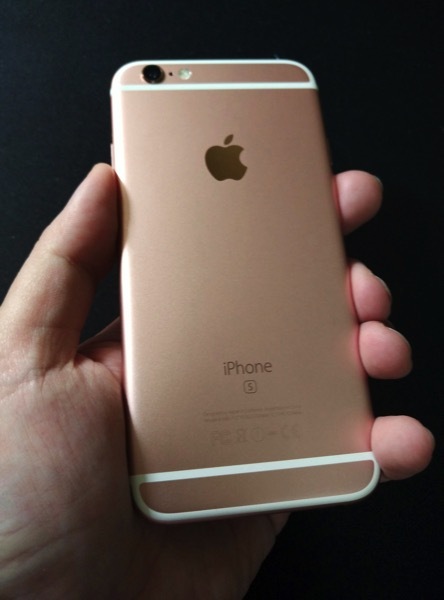 The much hyped Rose Gold is indeed pleasant to the eyes. However, it is candy to the ladies than a fit for any gentleman. The tone of pink is close to a flushed baby skin. At least now there is another collectable item within the female’s wardrobe. 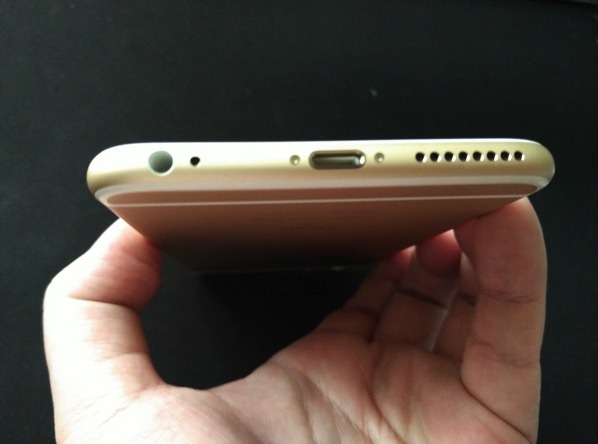 Not much has changed to the sides and bottom of the new iPhones. Connectors and buttons are still at the previous locations which means that most 6 cases should fit the new 6S series iPhones. 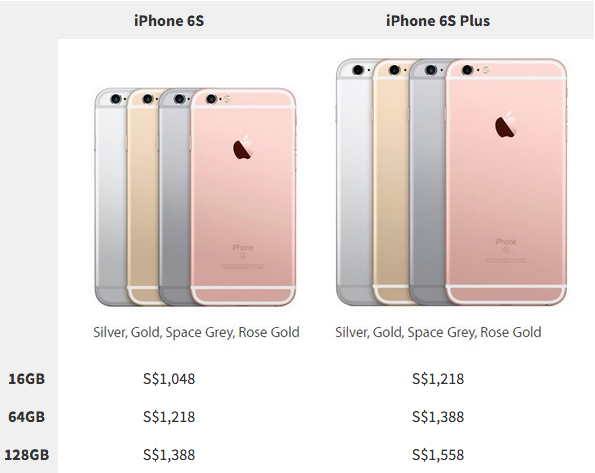 Yay, we can then use the same cases for 2 generations of iPhones. 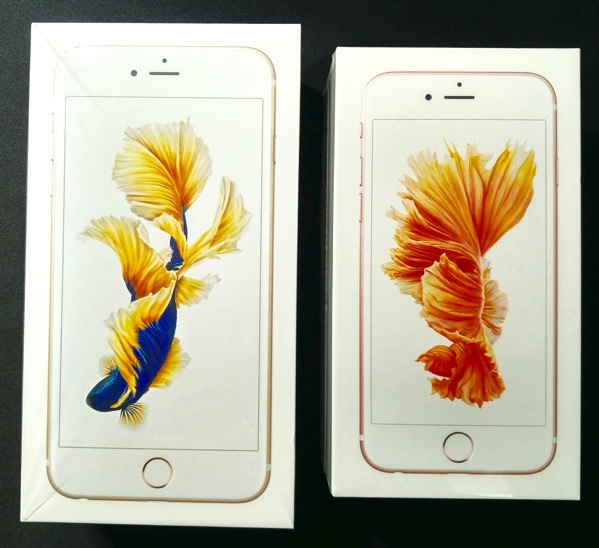 Stacking up both the iPhone 6S and iPhone 6S Plus models, the former is noticeably thinner. 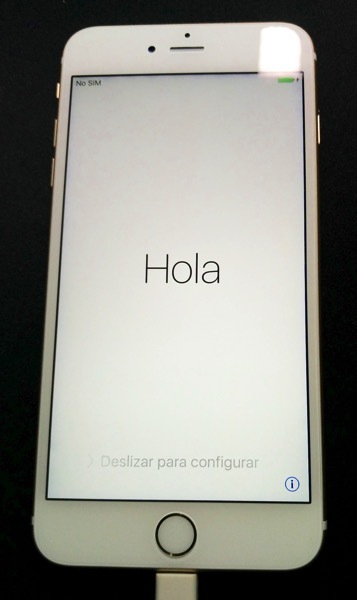 I must say, the biggest change for the 6S series lies within the iPhone. 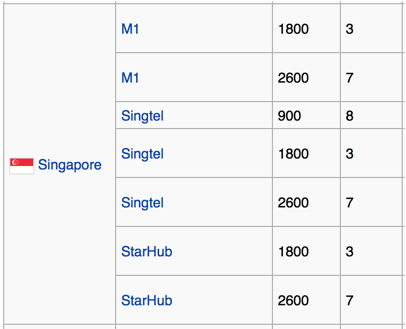 Firstly, there are additional 2 LTE bands supported in new iPhone 6S – Band 12 & Band 30. This is more beneficial to those staying or commuting to USA, US Territories & Canada. Band 30 is within the chunk of 2.3GHz spectrum between 2305MHz and 2360MHz (dubbed as the Wireless Communications Service WCS band by the FCC). This would mean greater coverage but not every country users will get the boost data connectivity. 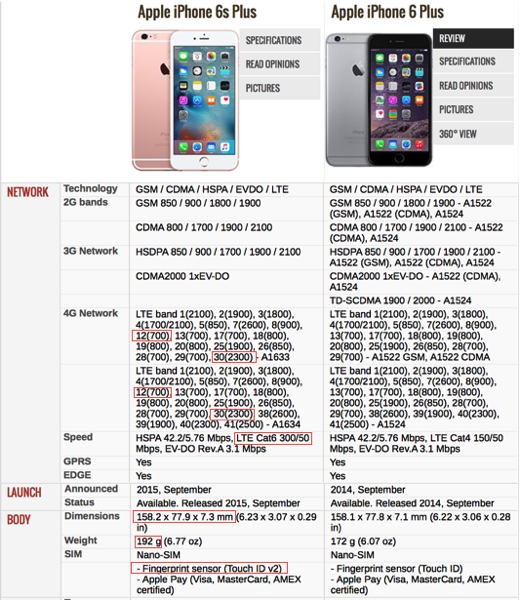 Certainly, it will still make iPhone 6S one of the best LTE compatible smartphone worldwide. 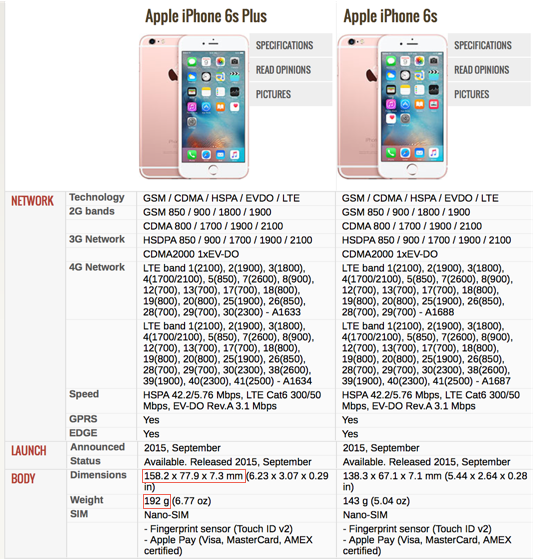 Next, the new iPhone 6S/6S Plus now support Cat6 LTE (or largely termed 4G+ or LTE-A). 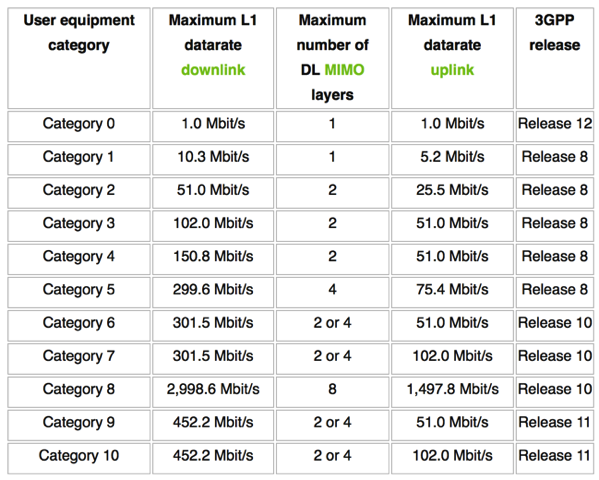 In South Korea and the United States, it’s called LTE-A (or LTE Advanced), but in Singapore, France, Qatar, and the Netherlands, it’s called 4G+.What it really means is that the users can get higher data speeds.Devices that support CAT4 speeds can reach a theoretical speed of 150Mbps, while devices that support CAT6 speeds can reach a theoretical speed of 300Mbps. In the real world, those speeds are considerably slower, but you still get much faster data from having a device and network that support CAT6 speeds. 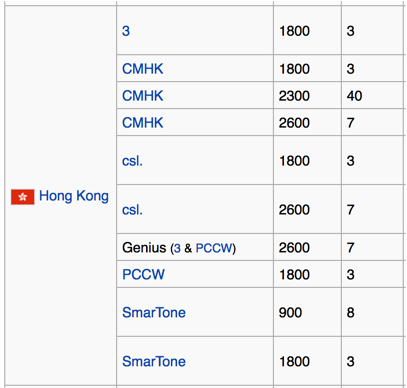 In most places, the only devices to support LTE-A/4G+ are the Huawei Honor 6, Samsung Galaxy Note 4, Galaxy Alpha, and Galaxy S5 4G+, Samsung Galaxy S6 4G+ and Samsung Galaxy S6 edge 4G+. 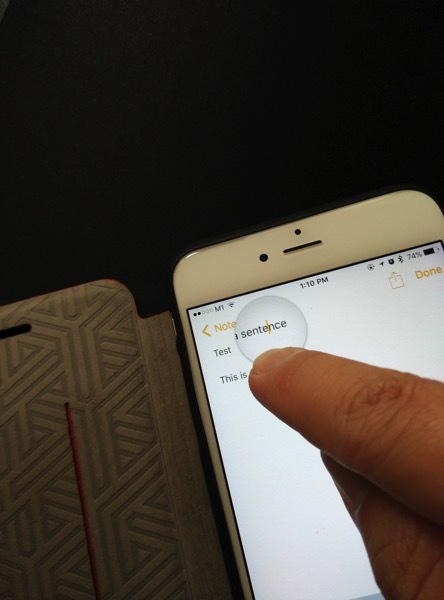 The touch ID is also enhanced (V2). Personally, I have recognised the detection is now speedier & more accurate. 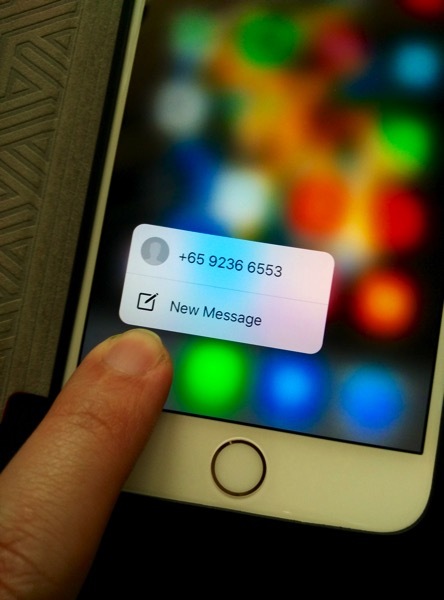 This helps when close to 20% of the iPhone usage is typically spent on authenticating e.g. unlocking, authorising purchase or app usage. Improvement in the CPU and Ram will be a good news for users who need the extra horsepower. The new A9 1.8ghz dual core and 2G ram is definitely a booster for multi-tasking applications and GPU hungry games. 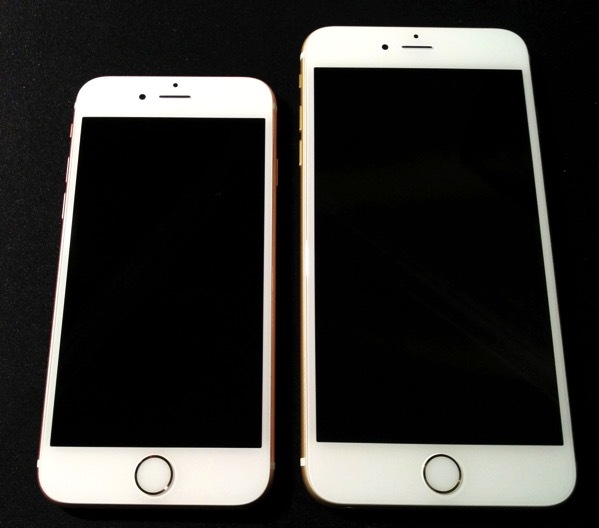 Some early tests also revealed that the new iPhone 6S processing is comparable to earlier Macbook 12 inch. Camera built is finally upgraded. Though the primary camera is still not close to other high end models, the improved quality is definitely welcomed aided with the superior OIS (Optical Image Stabilisation). Those who often selfies should be delighted on a much improved front camera. Now FaceTime during low lighted situation will be of a better quality. 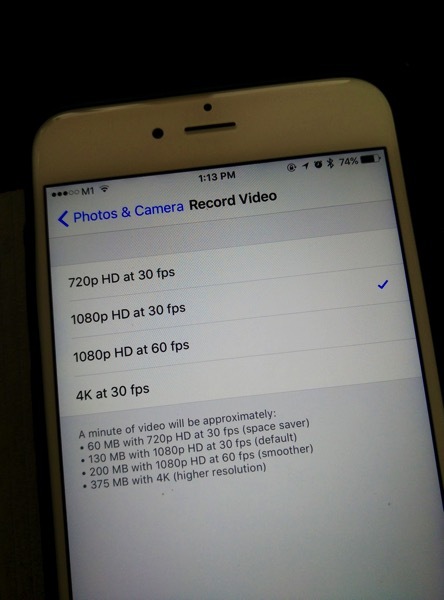 Now capturing 4K videos is possible but we have to be aware of the size of 4K video clips. 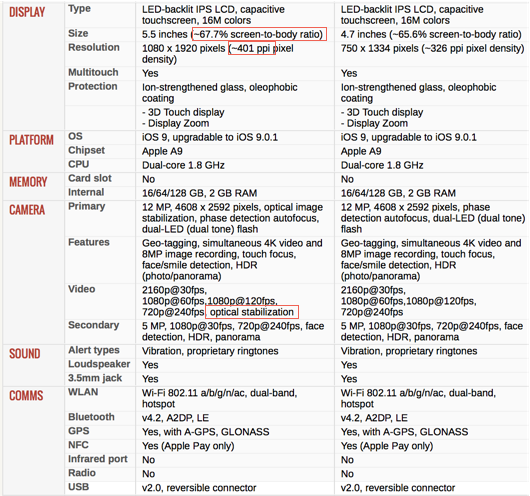 It is definitely worth investing in a larger capacity iPhone 6S e.g. 128gb if you are intending to take these high quality video shots. The new Bluetooth 4.2LE should provide a more secured and energy efficient connectivity. This will be a good news for those who are equipping with wearables (e.g. fitness bands, Apple Watch etc) or other connected mobility devices (e.g. tracking tags, speakers) provided those devices also support the equivalent BT4.2 standards. 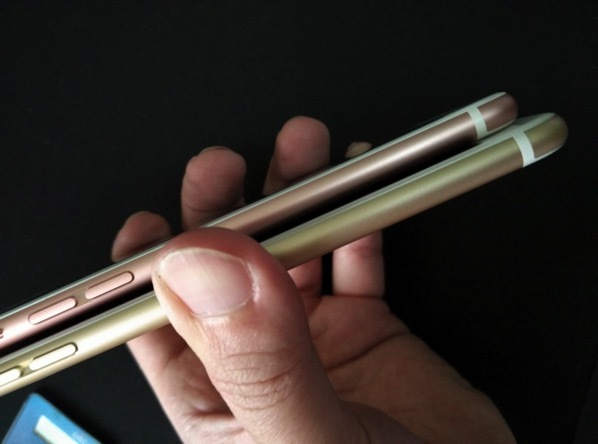 But if you need a better portability, it is best to take the iPhone 6S. 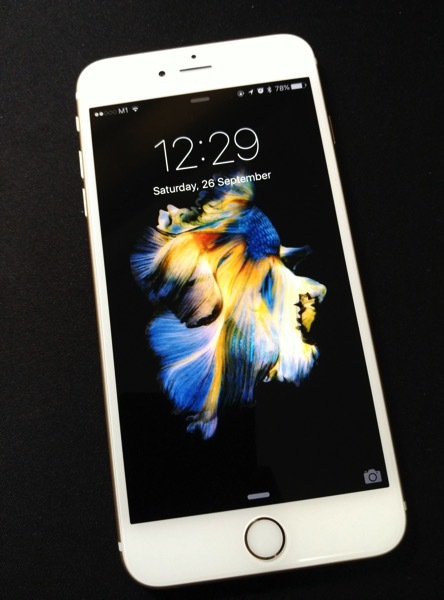 The new iPhone 6S / 6S Plus comes with the refreshed iOS 9. iOS 9 is the next version of Apple’s software operating system for iPad, iPhone and iPod touch, and was unveiled earlier at WWDC 2015. 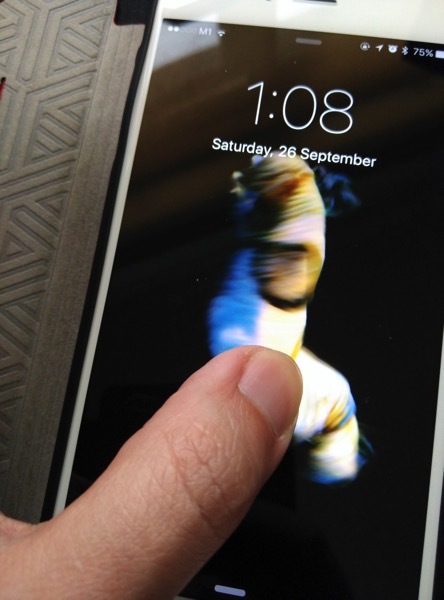 With Live Photos, you can now turn your iPhone 6S’s lock screen into a moving image. 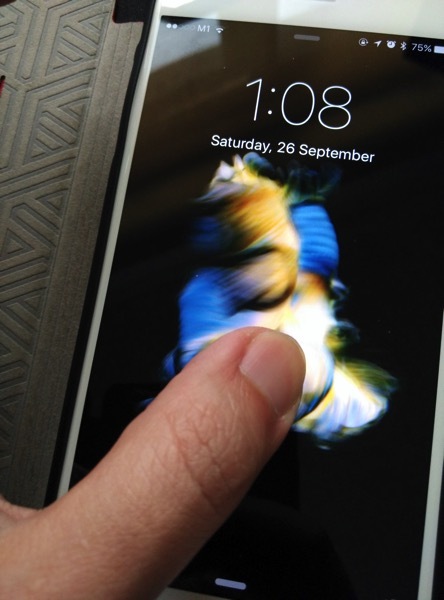 Anything shot with the new camera feature will come to life with one press on the touch display. Apple also includes a number of high-resolution images with custom 3D Touch animations you can set as your smartphone background as well. A Live Photo is basically a combination of a regular photo and a movie file. Specifically, it’s a 12-megapixel image captured alongside three seconds of video that’s recorded before and after the picture is taken (some 45 frames in total), and which plays back at 15 frames per second. 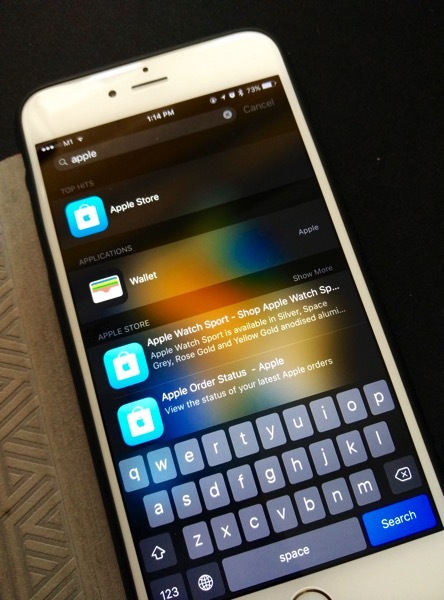 On the new iPhones, you can use 3D touch to turn your keyboard into a trackpad, allowing for faster text selection. Press down anywhere on your keyboard to see the letter keys blur and your cursor come alive. You can then slide your finger around to quickly move the cursor where you want it, or press down a little bit harder to quickly highlight text. 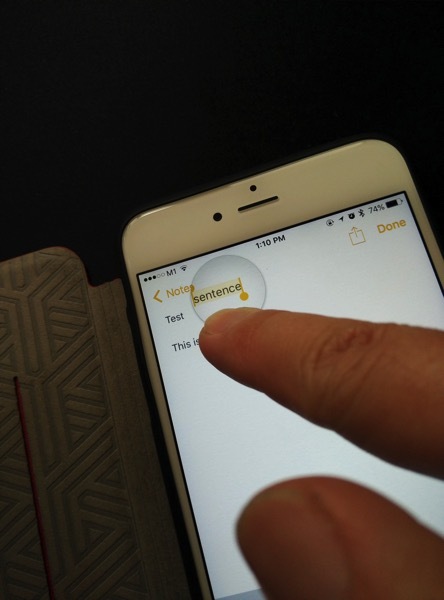 If you’ve ever found yourself peering through Apple’s magnifying loupe, struggling to fix a typo, you’ll be glad to start using this feature regularly. The new Proactive Search presents a search window populated with contacts, apps, places and more items based upon where you are (and what you typically do when you are there). Proactive Search results are based upon three specific pieces of information: Contacts, Apps and Maps. 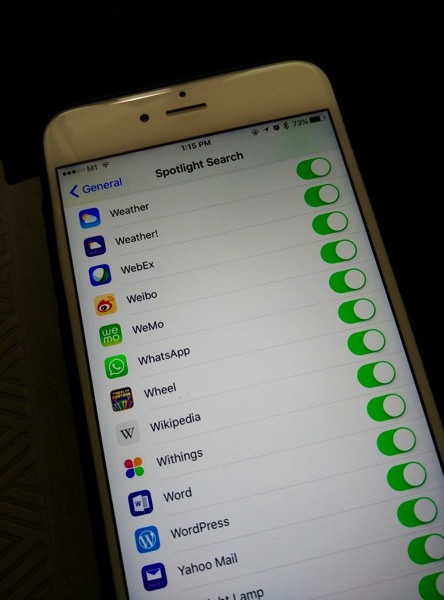 One can also dictate which app to be included for the Proactive Search under Settings. 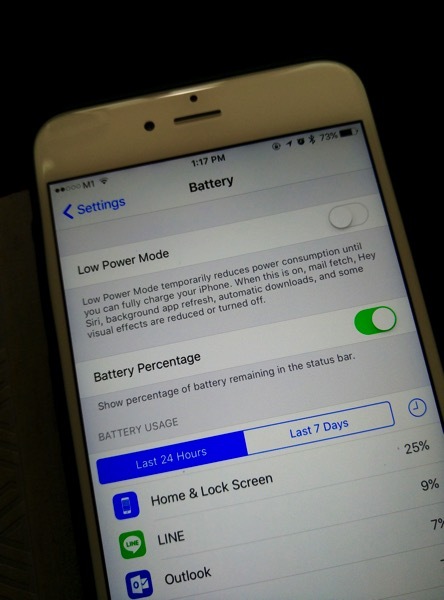 Apple has added a new feature to iOS 9 that is designed to help you conserve those last few drops of juice when you wont be able to charge your iPhone anytime soon. The new feature is known as Low Power Mode. When enabled, the low-power mode will modify the amount of energy it dedicates to background services and animations (among other things). In other words, features such as background app refresh, and push email will be temporarily paused until you’ve had a chance to charge your device. When your iOS device reaches 20% battery, you’re automatically prompted to enable low-power mode. As you can see from the prompt above, you’re reminded what will happen to your device each time you enable the feature. 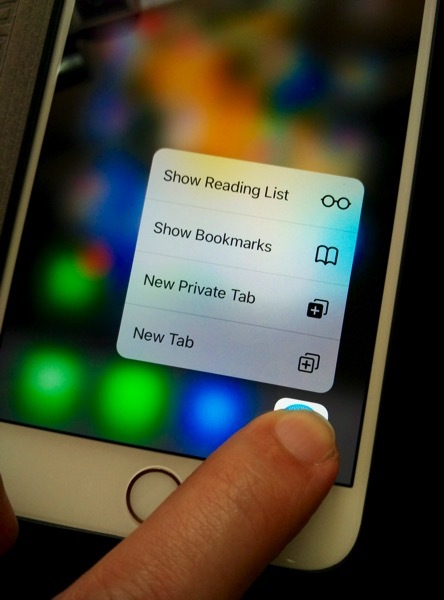 The significant increment is possibly due to the costlier parts to enable 3D touch. 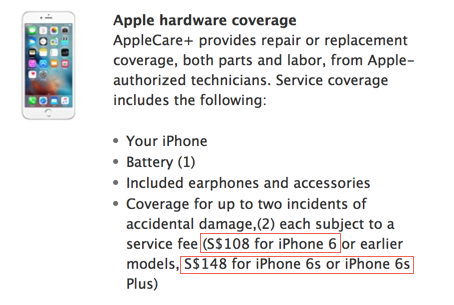 To put the AppleCare+ into perspective, assuming one time incidental replacement, the added insurance cost is at highs of ~35.8% for 16gb 6S till as lows of 24.1% for 128gb 6S Plus. 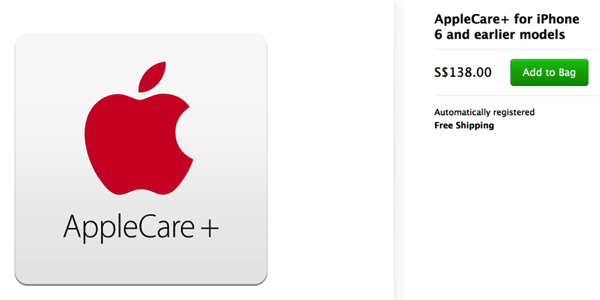 Personally, the AppleCare+ is significantly overpriced. 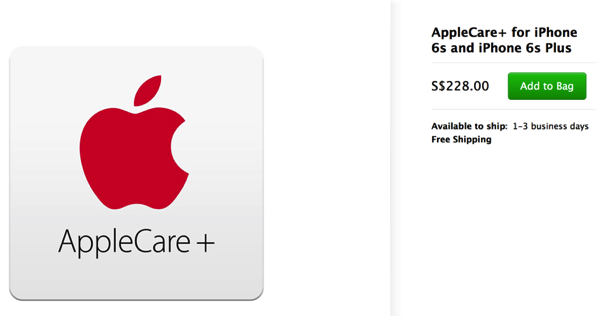 Perhaps the bigger strategy is for Apple to push their users to change new models every year rather than holding one across 2 years with replacement coverage. 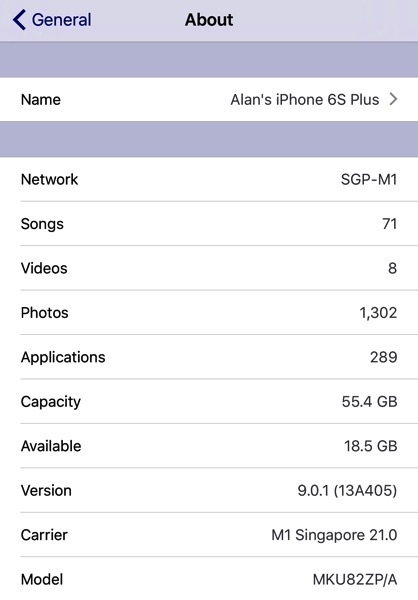 If you are already on iPhone 6, the upgrade is only worthwhile if you do need the better LTE speeds and Apps processing power. 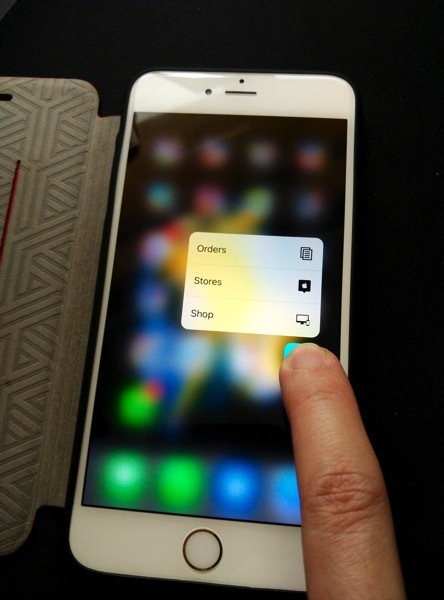 3D touch function is very useful but until most mainstream applications support, it is still early to effect a shift in UX and how consumers interact with the apps on smartphones. 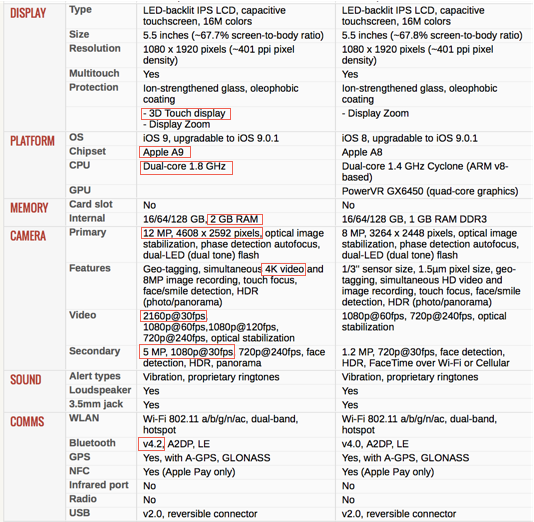 If you are having a much older iPhone, it should be a no brainer to hop onto a much better specifications & built. 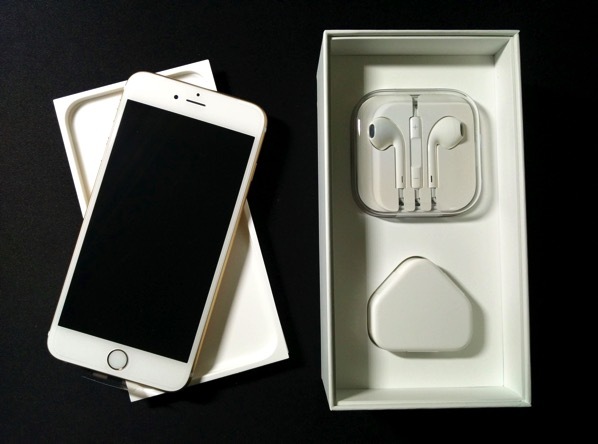 iPhone 6S / 6S Plus is by far very comparable to most of the high end models offered by Apple’s competitors.Moreover, you will need the updated hardware to enjoy the full benefits of iOS9. So will you get one soon? Do share your thoughts with others here!